The former chief executive of the Football Association of Ireland (FAI) has insisted he acted in the best interests of the game when he loaned the organisation 100,000 euro. Hundreds of people have gathered in Dublin to celebrate Ireland’s links with Japan. A former Irish soldier who went to live in Islamic State-controlled Syria has reportedly denied fighting for the jihadist militants. A woman has been charged by detectives who seized guns, drugs and a monkey during a raid in Dublin. The UK has the safest roads of any country in the EU, according to the European Commission’s Annual Accident Report. Sinn Fein have told the Prime Minister that she must deliver on promises she made to protect the Good Friday Agreement. 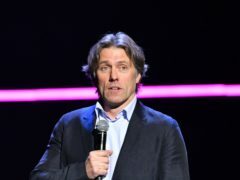 John Bishop will embark on a 600-mile road trip around Ireland in a new series to be broadcast on ITV. Opposition leaders in Ireland have voiced their disappointment at rejection of the Withdrawal Agreement in the House of Commons. A terrorism expert has warned dissident Republican groups in Northern Ireland are “hoping” for a hard border and would benefit from a return to military rule. Sinn Fein leader Mary Lou McDonald has condemned any potential return of violence on the island of Ireland. Avoiding a hard border in Ireland in a no-deal Brexit scenario will be very difficult, the country’s European Affairs Minister has said. British MEP Daniel Hannan has inspired a new hashtag as Twitter users reacted to claims he had got his facts wrong about Irish history. A Czech model has been sentenced to eight years and eight months in prison in Pakistan on charges of drug trafficking. Which council has apologised for flying the Welsh flag on St Patrick’s Day? An English council has apologised after flying the Welsh flag on St Patrick’s Day. Barracks across Northern Ireland reverberated to the sound of the skirl of pipes and drums as soldiers of the Royal Irish Regiment spent the weekend celebrating St Patrick’s Day.